Ever wonder what Santa’s Elves do during the off-season? 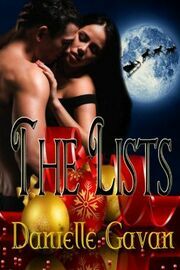 Some of them are the keepers of Santa’s infamous Naughty and Nice List.Crispin Winters is one such elf and he’s been in love with Santa’s daughter, Rissa Claus, for longer than he can remember. He’s torn when assigned to watch a human woman, Anna, who could pass for Rissa’s twin. Pass up the opportunity to cure Anna’s naughtiness himself or go after who he really wants?Risking everything he’s worked so hard to achieve—the cushy spot on the Naughty List night shift, his cozy apartment, and the respect of his peers—Crispin chooses his carnal path with care. Where it leads him is more unexpected than he could ever have imagined.